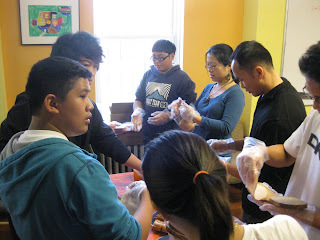 On Saturday, November 7, a group of our mentors, mentees, DC & MD high school and middle school students participated in a sandwich making event benefiting Martha’s Table, a local non-profit serving the needs of the DC community. 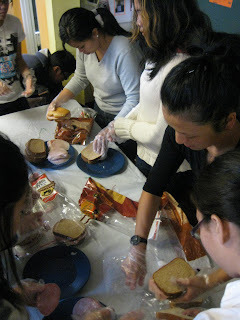 Before the sandwich making process began, the group had a small lunch and also listened to a small presentation about what services Martha’s Table provides. 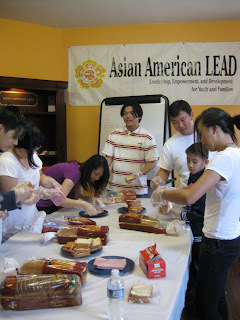 With the spirit of volunteerism, the group worked diligently at making and wrapping lean turkey and ham sandwiches. 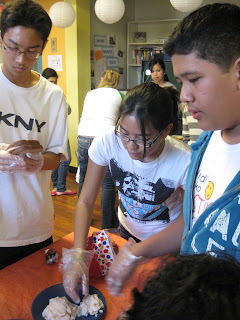 By the end of the event, the group donated a total of 167 sandwiches and 12 pounds of fresh fruit. Thank you to all the volunteers who came out to participate in such a worthy cause!